With the days getting chillier and the nights getting longer, nothing beats a wee dram of whisky to warm the heart and fire the soul. Geoff Heath-Taylor looks some great ways to enjoy the golden nectar this autumn. As the nights draw in and the trees look resplendent in their autumn robes, our minds turn to indoor entertaining to get us through the winter months. The barbecues have been put away and the Pimms has retreated to the back of the drinks cabinet: this is the season for whisky. Only a generation ago there was only one way for a gentleman to drink whisky – neat. But how times have changed. The case for whisky cocktails has steadily built up a following, proving that mixing whisky with other drinks is here to stay. However before you get the shaker out you must be sure of what you’re doing. It is vital that you get the combinations right – a beautiful scotch can be easily ruined if mixed with the wrong ingredients, but with the right ones its flavours can be magnificently enhanced. Supposedly the original ‘cocktail’, the Old Fashioned was first mixed in the 19th century as a remedy to a culture that seemed to be over-complicating the creation of new beverages. Although traditionally made using bourbon as its base, single malt scotch can be used in its place. However we think it appropriate for American whisky to be used in the creation of this classic American cocktail. Don Draper wouldn’t have it any other way. Another famously simple cocktail, this is a twist on Admiral Edward Vernon’s original ‘grog’ that helped keep the scurvy at bay on naval voyages. Vernon discovered that if you watered down a spirit, usually rum, and added sugar and lemon juice, the sailors who drank the mix were healthier than those who did not. Of course, we know that this was courtesy of the Vitamin C contained in citrus juice but the point remains – drinking cocktails can be good for you! The Whisky Sour that you will drink today is a great improvement on Vernon’s 18th Century concoction, but it remains wonderfully easy to make. Using a slightly sweeter whisky will complement the zesty citrus, and although the egg white is an optional extra we heartily encourage it as the frothy finish greatly improves the texture. Add a handful of ice to a shaker and pour in the rest of the ingredients. Shake well and strain into a tumbler filled with ice. If you don’t use the egg white you can serve in a cocktail glass. Garnish with a slice of lemon. 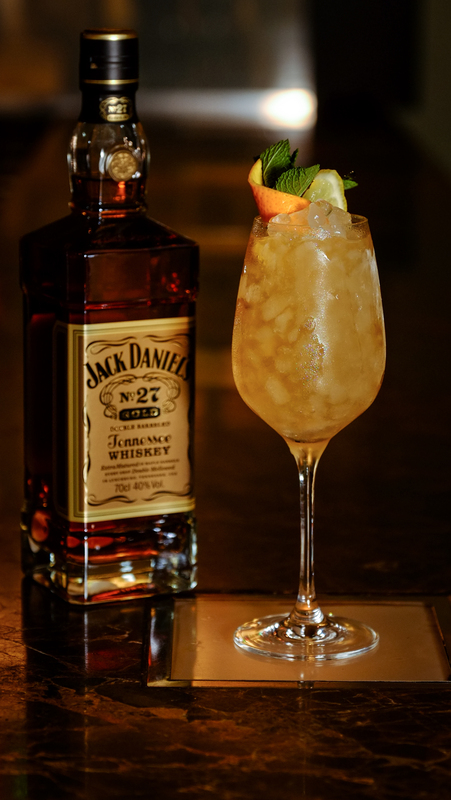 This new cocktail was newly created to celebrate the launch of Jack Daniel’s latest whisky, Gold No.27. The whisky earns its name from the double barreling and double mellowing of the original No.7, creating a richer and warmer taste. The cocktail, offers a luxurious and full-bodied flavour that is perfect when drunk from a wine goblet by the fire. Stir all ingredients in a shaker and strain over a crushed ice into a wine goblet. Garnish with orange and lemon wedges and a sprig of mint. No list of winter warmers is complete without a mention of this cocktail. It’s the drink that everyone’s too embarrassed to order but secretly loves. 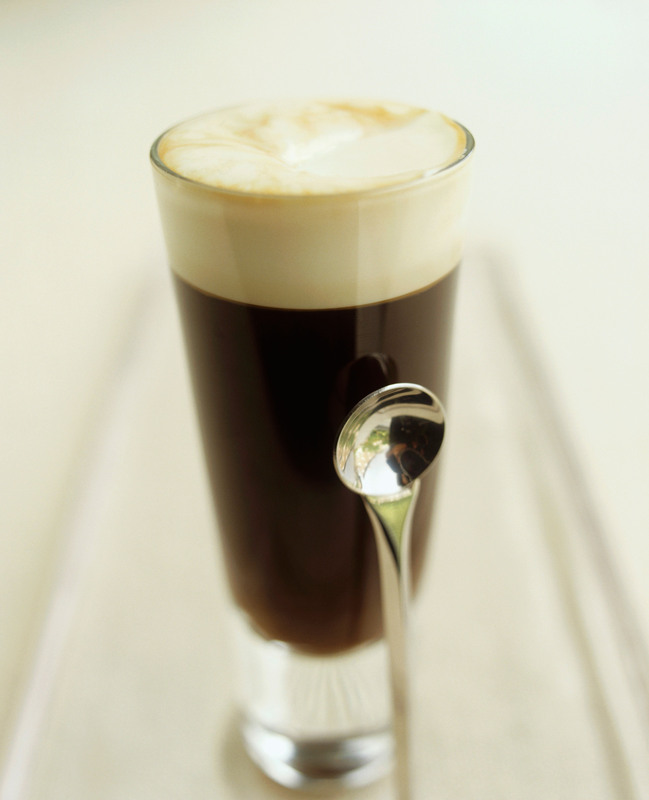 First created in the winter of 1943 by Joe Sheridan, a chef in Limerick, for cold, weary passengers of a transatlantic flying boat, the cocktail got its name when the passengers asked Sheridan if they were drinking Brazilian coffee and he responded that it was ‘Irish Coffee’. Heat a tall glass with boiling water and pour away the water. Add the sugar and coffee and stir until dissolved. Add the whisky to the coffee and continue stirring. Using a jug pour the slightly whipped cream over the back of a teaspoon until level with the rim of the glass. Perhaps the easiest cocktail to make, the Rusty Nail owes its popularity to the 21 Club in Manhattan. Although extant since the 1930s, the bartenders at the 21 Club raised the profile of this cocktail and by 1963 the chairwoman of Drambuie had given it her seal of approval. 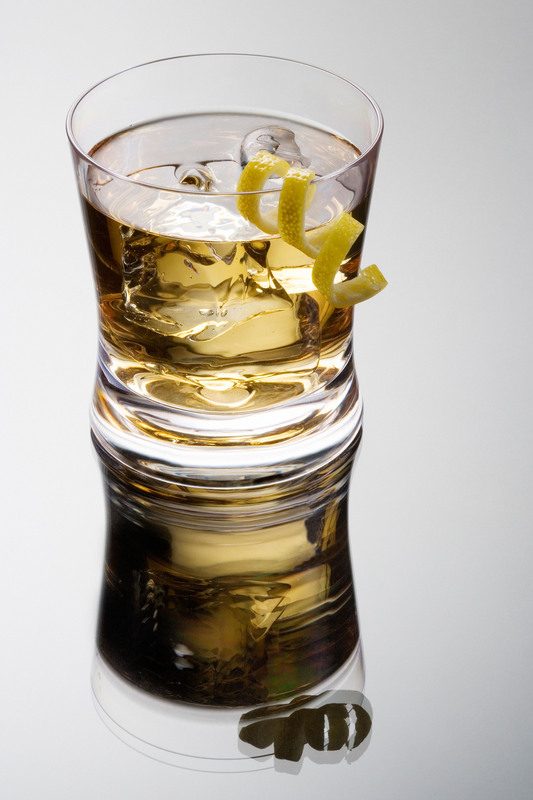 Made by splashing Scotch whisky and Drambuie together over ice, the Rusty Nail must be sipped slowly to be savoured. Pour the whisky and the Drambuie directly on to ice cubes in an old-fashioned glass. Stir and garnish with a lemon twist.